Taking this under consideration Cycladia welcomes you to follow the Greek scents of Christmas to the most joyful holiday of your lives. 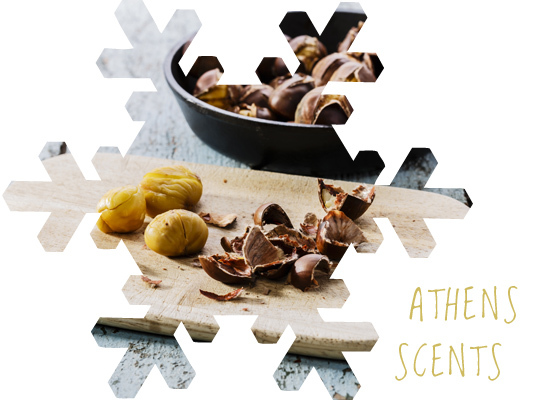 Lose yourself in the streets of Athens, follow the smell of roasted chestnuts and see how it gradually triggers your sense of nostalgia from the sweetest days of your childhood. 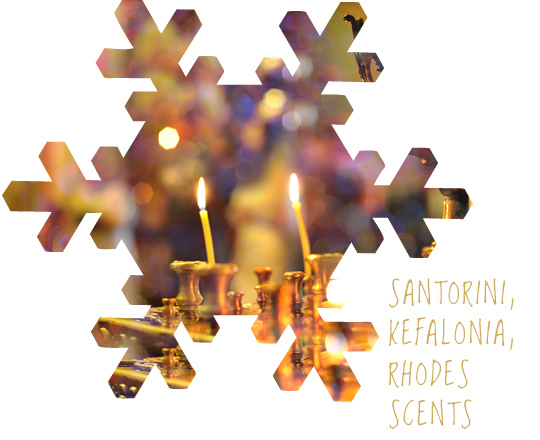 Visit the Greek islands of Santorini, Kefalonia or Rhodes and breathe in the scent of frankincense from the church around the corner as it burns throughout the Christmas liturgies. 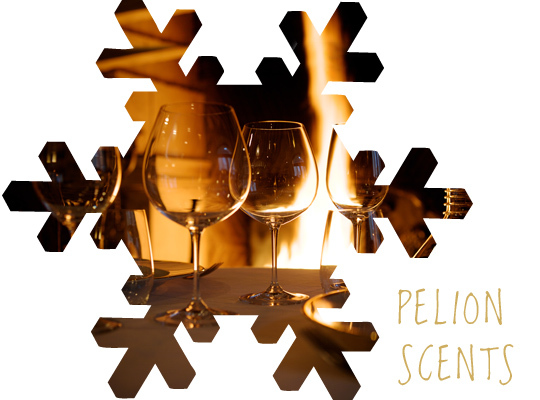 Make your way to the mountain of the Centaur, Pelion and let the smell from the wood fireplaces, the apple liqueurs and the fresh rain on the cobblestone alleys embrace you with the warmth of the season. 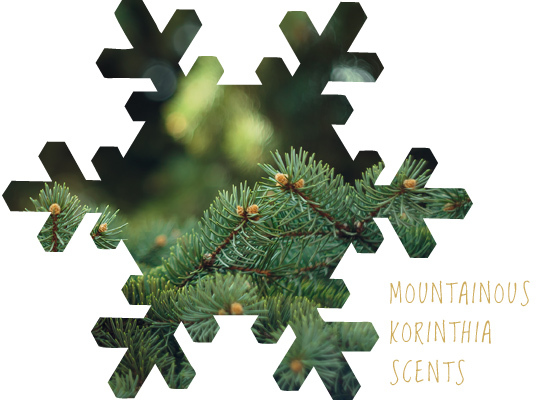 Follow the intriguing smell of the fir trees and black pine trees in the region of Mountainous Korinthia and allow all your senses to be aroused by the freshness of your environs. 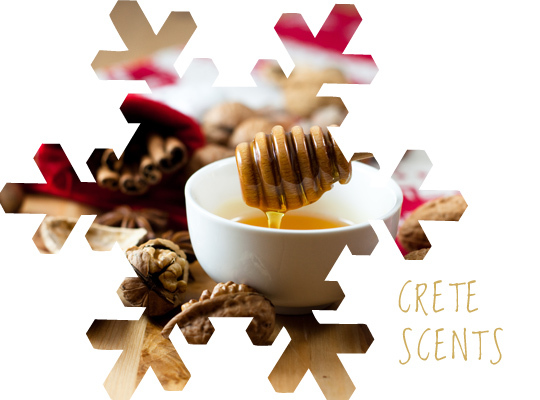 Travel to the island of Crete and let the fragrance of cinnamon and honey from the Kalitsounia pastries at the local bakeries lure you into the cozy and warm atmosphere of the holidays. 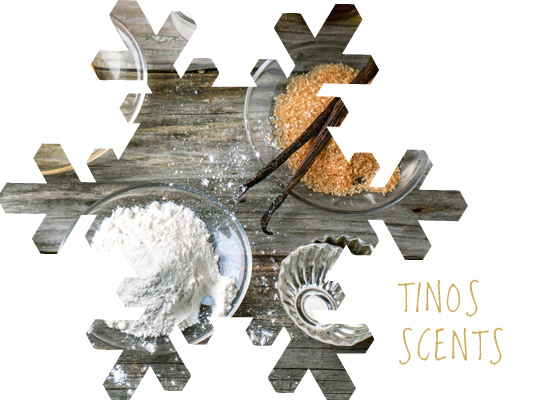 Land to the island of Tinos and prepare to be inundated by the scents of vanilla from Saint Basil’s cakes that are baked in every home. Sail to the island of Lesvos and be greeted by a waft of cinnamon, clove and orange from the orange stuffed Melomakarona that have already been baked and glazed with honey. 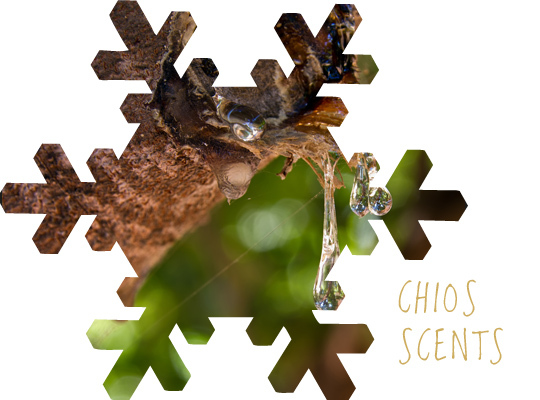 Hop to the island of Chios and let the scent of mastic from the local Saint Basil’s cake lift your holiday spirit to the highest grounds. Pause for a moment and feel it in your heart, do you still have it in you? 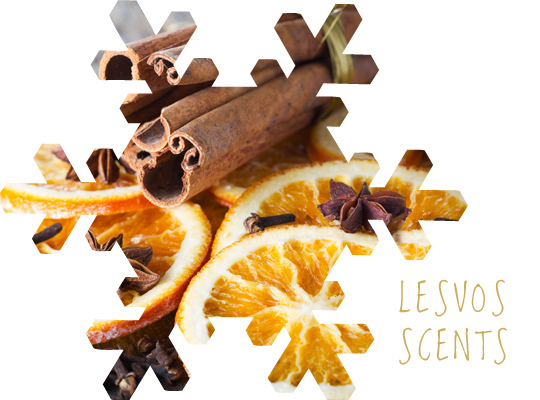 Do you dare to follow the scents of the holidays before the countdown is over? A trip to Greece will definitely take…your scent away! This entry was posted in Athens, Chios, Corinth, Crete, Cyclades Islands, Cycladia Posts, Destinations, Events, Gastronomy, Kefalonia, Lesvos, Pelion, Tourism Insight. Bookmark the permalink.